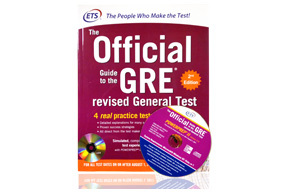 Every TestMasters student is provided with a personal set of all real GRE questions that are publicly available. 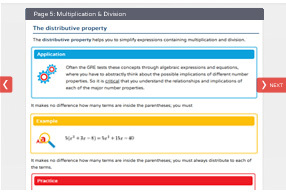 Our course offers interactive lessons on every concept tested on the GRE. 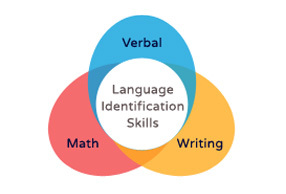 An abundance of material in the form of instructional videos, written explanations, practice drills, and digital whiteboard sessions gives our students every opportunity to master each skill. Our Online GRE Course utilizes a variety of media that goes way beyond the traditional text-only format. With the addition of videos, interactive games, animated whiteboard presentations and live one-on-one tutorials, students stay focused longer and learn faster. Our expert instructors offer guidance, monitor progress, and answer questions at every stage. Each has achieved a 99th percentile score on the verbal section or a perfect score on the quantitative section of an officially administered GRE. 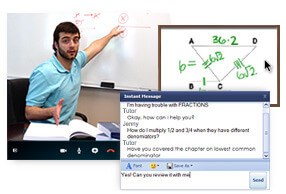 Telephonic or online tutoring is available through the use of shared whiteboards, chat, and Skype. Students take 4 diagnostics throughout the course. Of these, 2 are computer based and 2 are paper based. 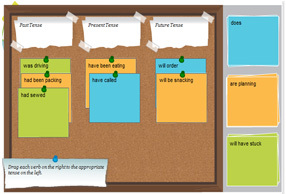 Accompanying computerized score reports provide critical information about students’ current level of performance, how they are progressing, and where they should focus their study time. Being prepared is crucial to GRE success. Our course provides thousands of questions, drills, quizzes, and interactive games to encourage participation and hone skills! We know that today’s students are constantly on the go, so we made our courses cross-platform compatible, enabling students to study on their desktop, tablet, or smart phone. 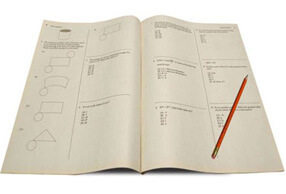 Our curriculum gives students a solid foundation in the math, grammar, and writing skills tested on the GRE. We focus on techniques that other companies often overlook: how to understand the language of the GRE, determine which concepts are being tested, and use basic math and English to solve even the most complex problems. 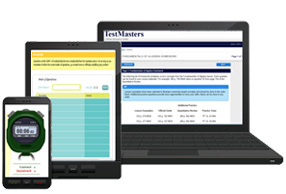 In the past 25 years, hundreds of thousands of students have prepared for standardized tests with TestMasters. 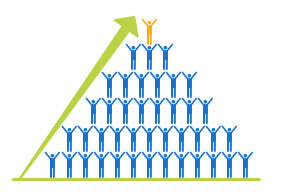 With courses designed to teach skills, not tricks and gimmicks, TestMasters will help you achieve amazing results.